Kat Von D came to the UK! Not literally, well she might have done, but not to Debenhams in Bedford and not recently. 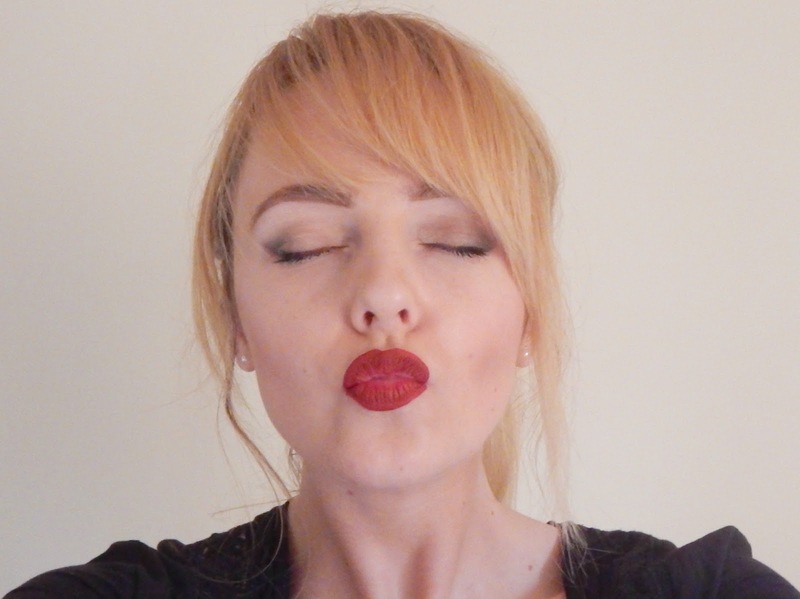 Her cosmetic line however is all over the place maybe not in every store but that's something a little click and collect can fix - and that is exactly what I did when twitter went into a little frenzy over some top notch cosmetic products hopping over the pond. I sneakily pounced onto Debenhams online to have a little nosey at the collection (with the Everlasting Liquid Lipstick engraved in the back of my mind) with it being the middle of the month, funds are low and it's time to be careful, yawn. 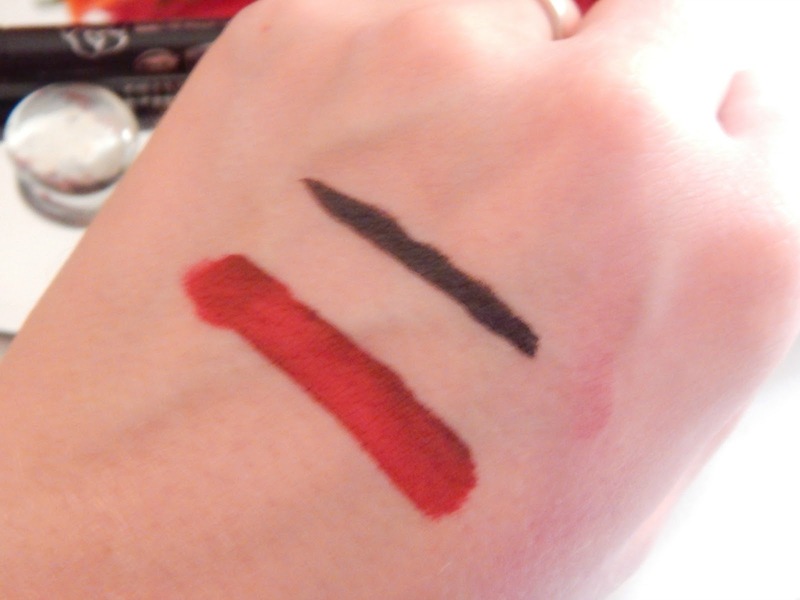 But when I realised the liquid lipsticks were only £16 a pop I was googling swatches before I knew it. Then it happened Nosferatu was clicked and would be ready to collect the very next day - God bless you Debenhams and all who order from you. 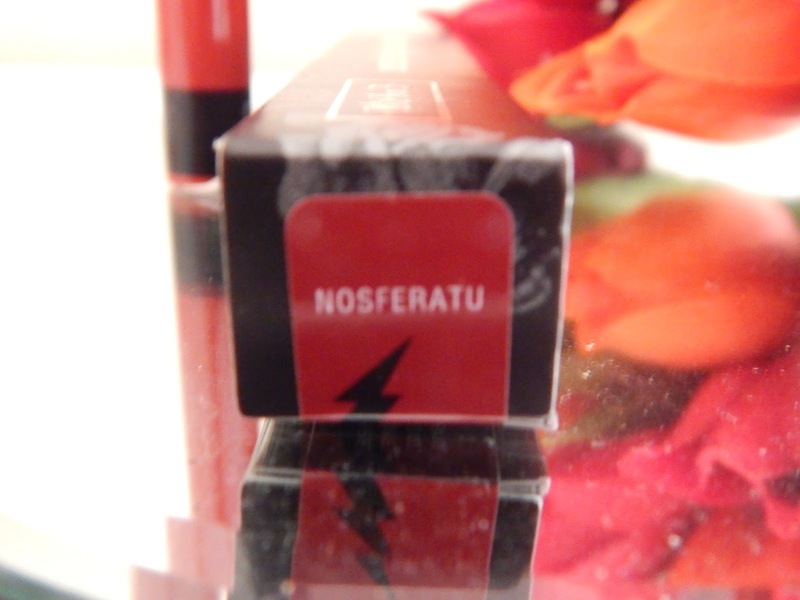 I chose Nosferatu because I love me deep red and with that season that us bloggers can't stop banging on about coming up, there's nothing more appropriate than a deep red to go with my pumpkin spiced latte and tartan scarf. Only thing is, my complexion and blonde locks can make some shades of red look horrific - you know that Snapchat filter with the smudged eye make up and red lips? that's me with the majority of shades of red. Gutting. However, after having a proper look at Nosferatu on ten thousand blogs I decided it was the shade for me and you know what, I don't think I was wrong. I've really fallen for matte lipsticks since getting my Lipkits and Kat Von D ranks highly in my ever growing collection. 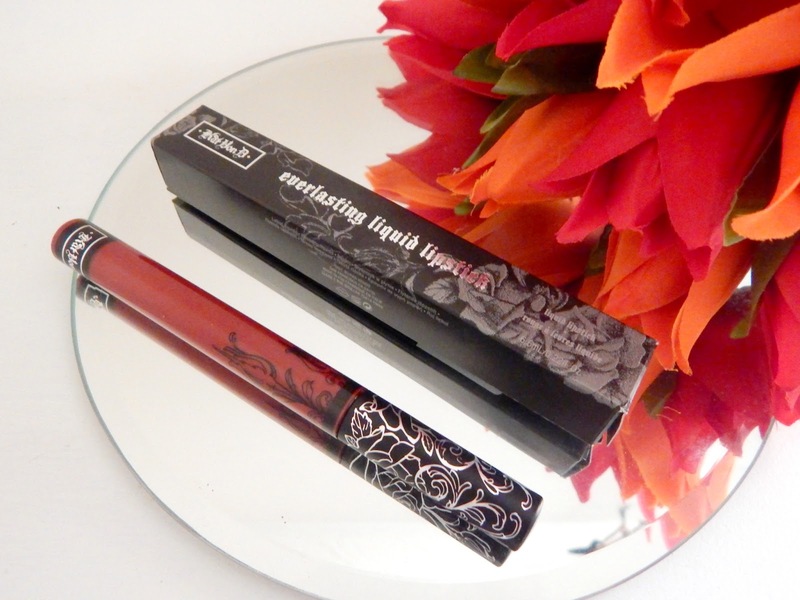 The Everlasting Liquid Lipstick is as about as everlasting as a liquid lipstick can get, I mean it probably wouldn't survive the apocalypse but it's close. I applied mine and decided to test it because I'm inquisitive like that. I downed some drinks and ate a massive plate of pasta for review purposes...obviously. This stuff stuck on like Babybel wax to a suede shoes (don't try this at home, it's heartbreaking). 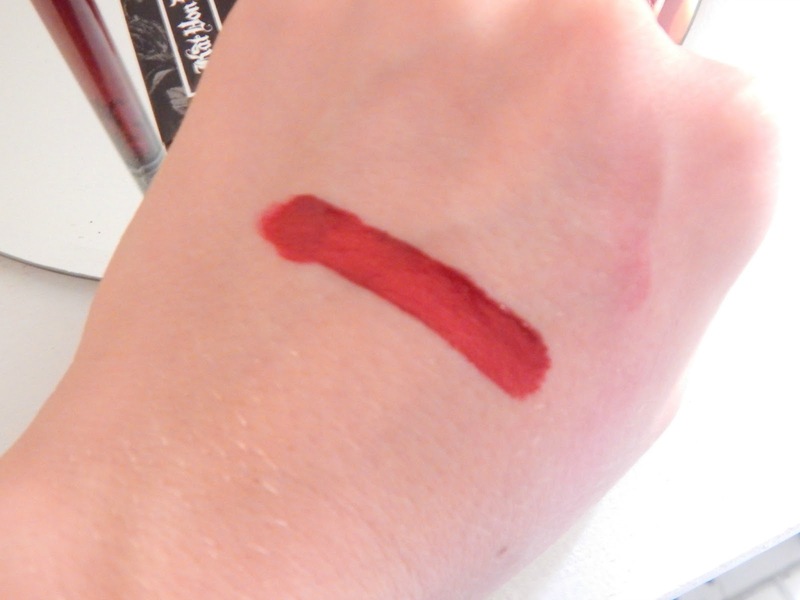 I find the formula so easy to work with and it doesn't bleed at all, I didn't need liner for the application because the wand is small enough to navigate around the lips without helping you navigate all over your mouth. It dries quickly and the addition of Vitamine E and Sunflower seed wax in the formula mean that it isn't as drying as the majority of matte products. I've said it before and I'll say it again, all matte lip products are drying to some extent, it's the price we pay for trendy lips. This product doesn't tend to enhance all those dry areas and make your lips look like the sahara which is ideal because I don't think that look will ever be on trend. All in all I'm pretty chuffed to have a decent shade of red in my collection of Liquid Lipsticks. 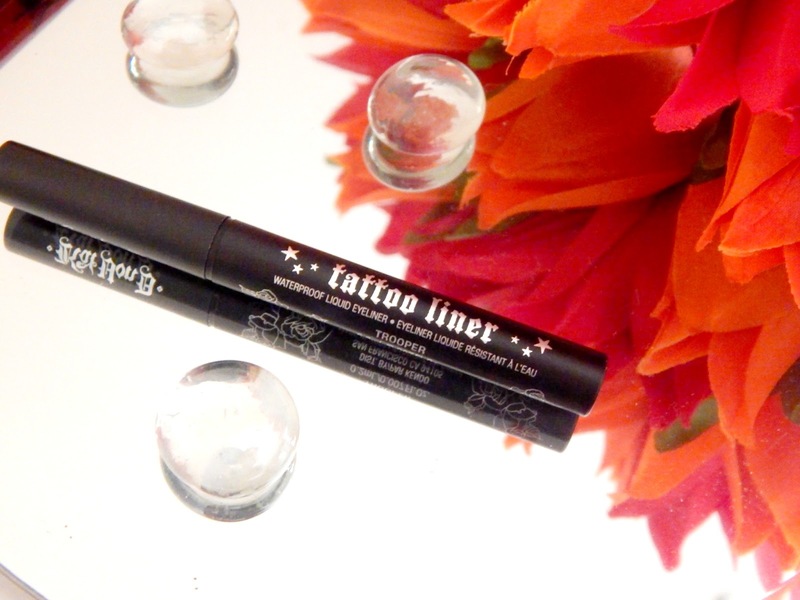 They only went and shoved a mini Tattoo Liner in with my order didn't they! Just as my Rosie for Autograph liner has run out. Now I love the liquid liner cat-eye look but I'm pretty crap at it. I've just got into the swing of using some tape to achieve some amateur flicks. 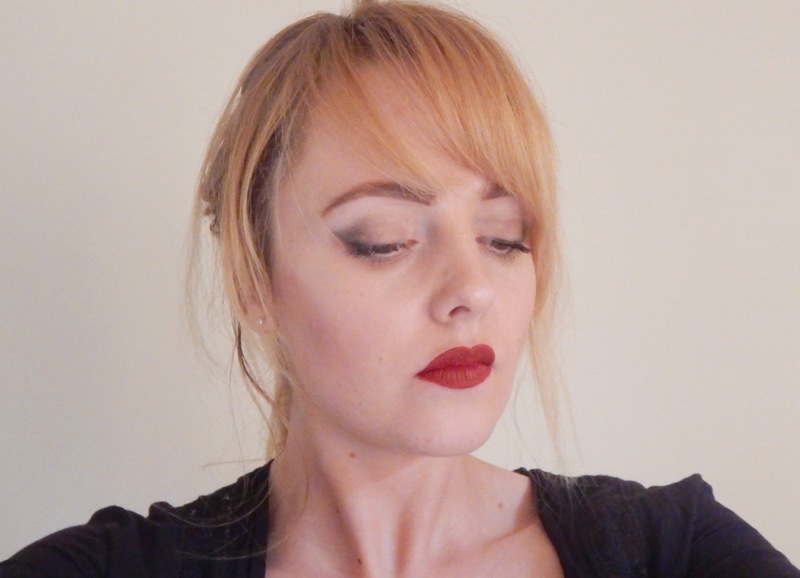 Whilst the formula of this liner is to die for, the wand? nib? what do you call these things? is very long and...whispy meaning that it'll require a lot of patience, eye cream and eye make up remover for me to get the hang of. Something that I'm saving for my week off work. So, if you're debating having a bash at some products new to the UK I would highly recommend Kat Von D, the stuff is of high quality, looks flipping amazing and is so decently priced it'd be kind of rude not to. My list of labels currently consist of Mummy, Stroke Survivor and Idiot. 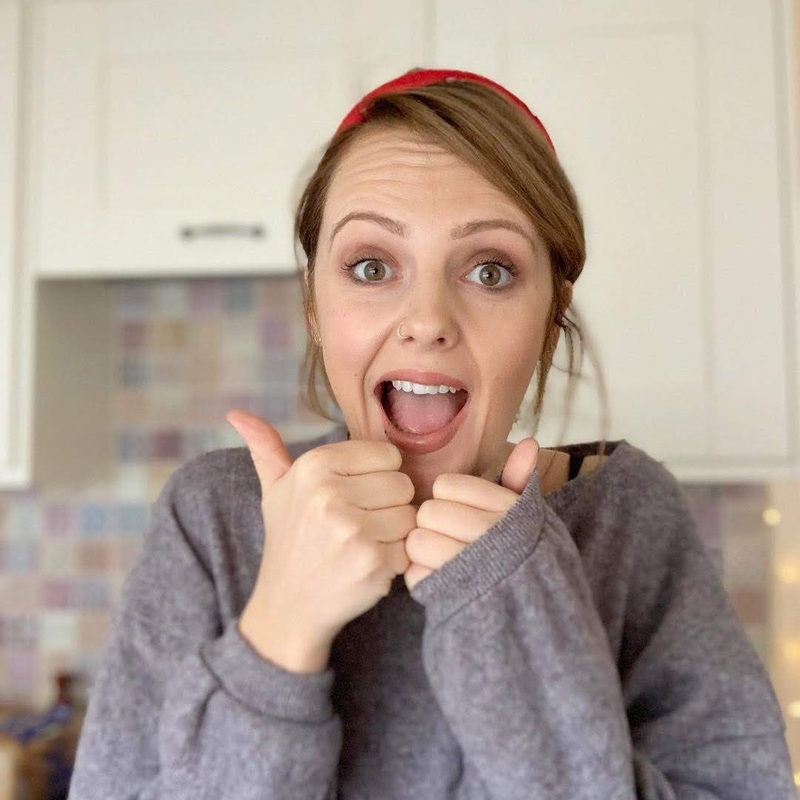 If you're looking for brutally honest parenting, pregnancy and infertility and general lifestyle posts seasoned with a sprinkle of whit then you've come to the right place. We're a family of 5 (including the 2 cats) and like to share our life struggles, fails and hacks on here. We're based in Crewe and like to big up local businesses but can also be found in Manchester and around Cheshire. Feel free to get in touch, we respond to emails pretty quickly because we're dead organised like that. Alright huns, any posts that are sponsored, in collaboration with or contain PR samples will be obviously and openly declared at the beginning of the post. For more information about working with IssyBelleFox just send a message and I'll get back to you within 24 hours.